Below are a few links to articles on the "East" phase of the newly opened $25 billion "ultimate" mixed use (office, hotel, apartments, shopping mall, performing arts venue, green space, subway station, etc.) Hudson Yards development on the west side of Manhattan. A "West" phase is to follow (see NY Times article at bottom of post below.) 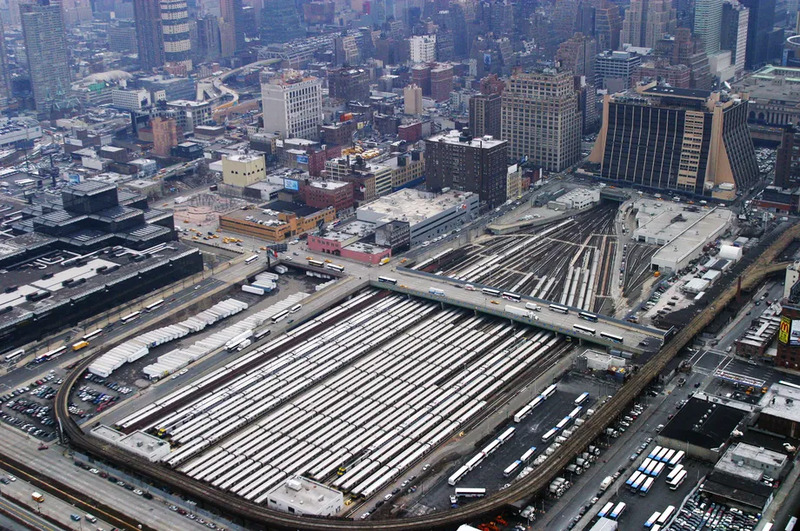 It is the largest private real estate development in U.S. history and was built over a $1 billion platform laid over part of the train yards in the area. It also features the new tourist attraction, the "Vessel," and straddles the end of the Highline. Before picture. Current opening covers half of these rail yards. Phase II to cover the other half. Hudson Yards shopping mall called "Mall of the Future:"
I remember being told by an NYC expert on this forum that no one wanted to live there because it was near the convention center. ^I think Lot J might be a better comparison to Hudson Yards than the Landing. Ironically, a lot of the new office tenants - WarnerMedia and CNN in particular - are just transfers from Related's last billion-dollar NYC development at Columbus Circle, hopping across time to get a fresh round of subsidies.